Fans from around the world will gather at Graceland in Memphis, Tenn. to celebrate the life of Elvis Presley during Elvis Week 2018, from Aug. 9-18. Elvis Week returns to Graceland on Aug. 9. 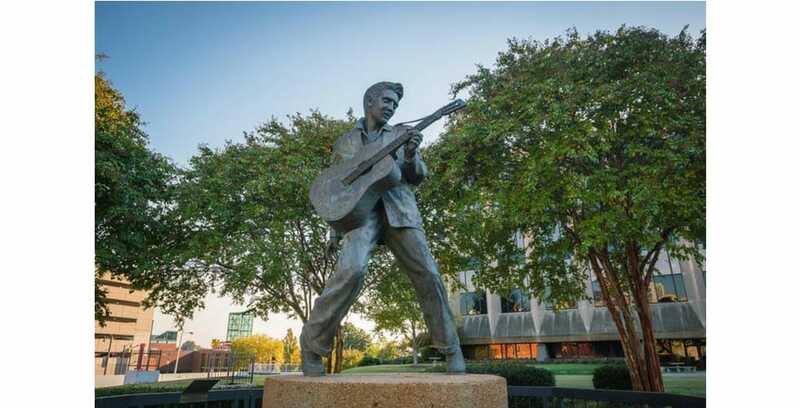 This year’s Elvis Week will feature concerts, special performances and guest appearances at Graceland’s new entertainment complex, Elvis Presley’s Memphis. Some of the special guests and performers include Lisa Marie Presley, who will appear onstage on Aug. 15; Darlene Love, Rock and Roll Hall of Fame Legend and Elvis’ ’68 Comeback special performer; Dr. Emily “Cissy” Houston, gospel and soul legend and former Elvis backup singer; Ronnie Tutt, Elvis’ drummer from the TCB band; and more. Highlights of the week’s events include a tribute to the 50th anniversary of the ’68 Comeback Special, a concert honoring Elvis’ gospel recordings, a live performance with Elvis on the big screen, a special autograph opportunity with Lisa Marie Presley for exclusive ticket package holders, and the Candlelight Vigil. The Candlelight Vigil will begin at 8:30 p.m. on Wednesday, Aug. 15 at Graceland’s front gate. Elvis’ music will set the tone as fans walk up the driveway to the Meditation Garden. The event will run through the night as thousands will gather and listen to Elvis’ music and remember him through memorials along the street. Tickets for all Elvis Week events are on sale now. For additional ticket information, including exclusive Elvis Week packages, visit ElvisWeek.com.